October, 2015 liability for fraudulent charges will shift from the card issuing bank to the local merchant. New credit cards will soon be issued with integrated circuit chips also called smart cards to reduce fraud changes that exceeds $11 Billion per year. 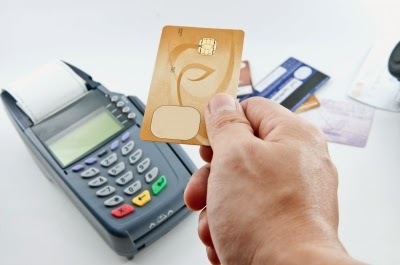 To protect your business from the liability of fraudulent charges, the smart credit card will need to be swiped in a card reader capable of reading the chip and allow the customer to enter their PIN. Smart Card technology also called EMV short for Europay-Mastercard-Visa, is based on an international standard for authenticating credit and debit card transactions. The old magnetic strip and raised numbers will eventually disappear. Now is a good time to look ahead and prepare for the new secure credit cards by doing a bit of shopping and comparing alternatives. Between now and October 1, 2015 there will be some confusion as to who will be responsible for liability for fraud losses. 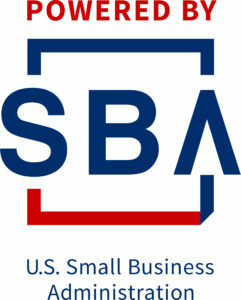 That said a merchant might consider earlier upgrading in order to get the most protection from fraud liability. If the merchant has the technology and the customer has not been issued a smart card by the bank then the bank remains liable for any fraud. Before replacing existing Point of sale systems see if it can be upgraded by adding a new card swipe reader and PIN pad. If you need new equipment shop around. Discuss options with other business owners. Check for discounts offered by banks for early adoption. Check on trade recommendations as what works for one retailer may not work for you. Look for Internet compatible terminals, faster than dial up transactions. Look for mobile compatible devices as the future is becoming more focused on hand held devices for Point of Sale transactions. Make sure your computer network complies with Payment Card Industry (PCI) data standards for network and data security. While many other regions in the world have had EMV cards for decades, people in the United States are still very unfamiliar with the technology and what it does. Now, banks have already begun to distribute EMV cards, or “smart cards” to their customers. Still, about 70 to 80 percent of buyers in the US will not be equipped with an EMV card by the liability shift. Many banks are urging customers to request a new card before their current cards expire in order to have more secure purchases. By encrypting each transaction individually through EMV cards, consumers can expect fraud to be much less prevalent, instilling trust in both banking companies as well as businesses. Jim Fletcher is the Center Director for the Wenatchee Small Business Development Center. This article originally appeared in the Wenatchee Business Journal.